The Amerock BP1587FB Inspirations 3-3/4in(96mm) CTC Pull is finished in Flat Black. Clean, classic lines in a casual relaxed style, Inspirations is designed to compliment any dicor. Flat Black is a dark, matte Black finish that subdues the highlights of each design. The Amerock BP29363AS Candler 5-1/16in(128mm) CTC Pull is finished in Antique Silver. The Candler collection is distinctively elegant, with strong lines and soft curves that blend a touch of femininity with enduring class and timeless character. Antique Silver is a sleek and lush finish with deep, rich colours designed to complement traditional, transitional and eclectic styled homes. The Amerock BP29364AS Candler 6-5/16in(160mm) CTC Pull is finished in Antique Silver. The Candler collection is distinctively elegant, with strong lines and soft curves that blend a touch of femininity with enduring class and timeless character. Antique Silver is a sleek and lush finish with deep, rich colors designed to complement traditional, transitional and eclectic styled homes. The Amerock BP29394AS Extensity 6-5/16in(160mm) CTC Pull is finished in Antique Silver. Extensity features beveled curves and a stately arc. Antique Silver is a sleek and lush finish with deep, rich colours designed to complement traditional, transitional and eclectic styled homes. Inspirations 3-3/4 Inch (96mm) CTC Pull - Flat Black The Amerock BP1587FB Inspirations 3-3/4in(96mm) CTC Pull is finished in Flat Black. Clean, classic lines in a casual relaxed style, Inspirations is designed to compliment any dicor. Flat Black is a dark, matte Black finish that subdues the highlights of each design. 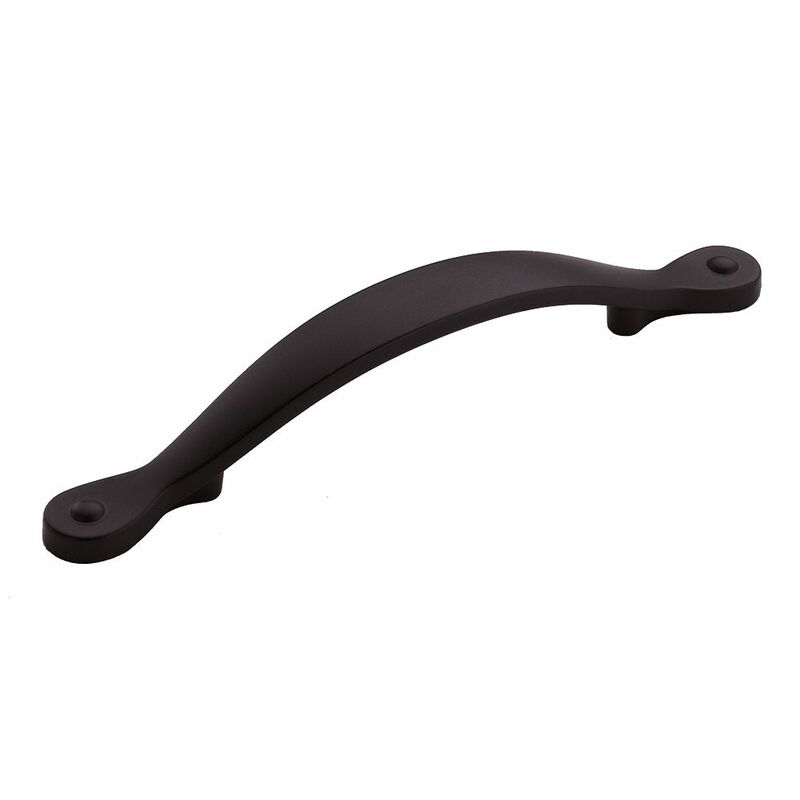 Inspirations 3-3/4 Inch (96mm) CTC Pull - Flat Black is rated 4.0 out of 5 by 1. Rated 4 out of 5 by debcdaley from This product is as expected, sturdy and heavier than I thought. This product is as expected, sturdy and heavier than I thought.